On Demand Fixing Technology Canon’s proprietary technology On-Demand Fixing consume less power and warm up quickly compared to the conventional fusing roller designs, enabling a fast warm up time and quick first print. 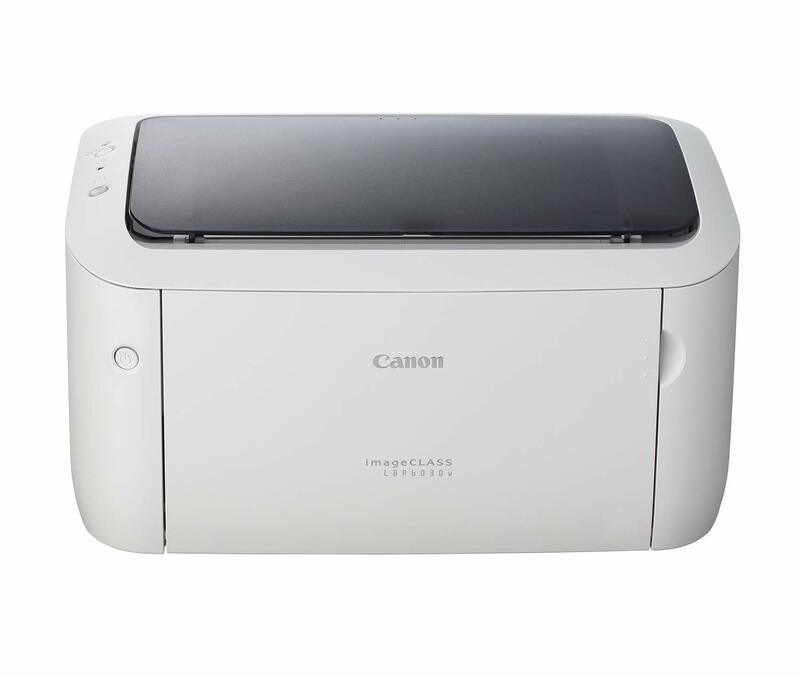 Mobile Printing Enabled With Canon Mobile Printing app, you can easily print images or documents from your iOS device. Find out more. 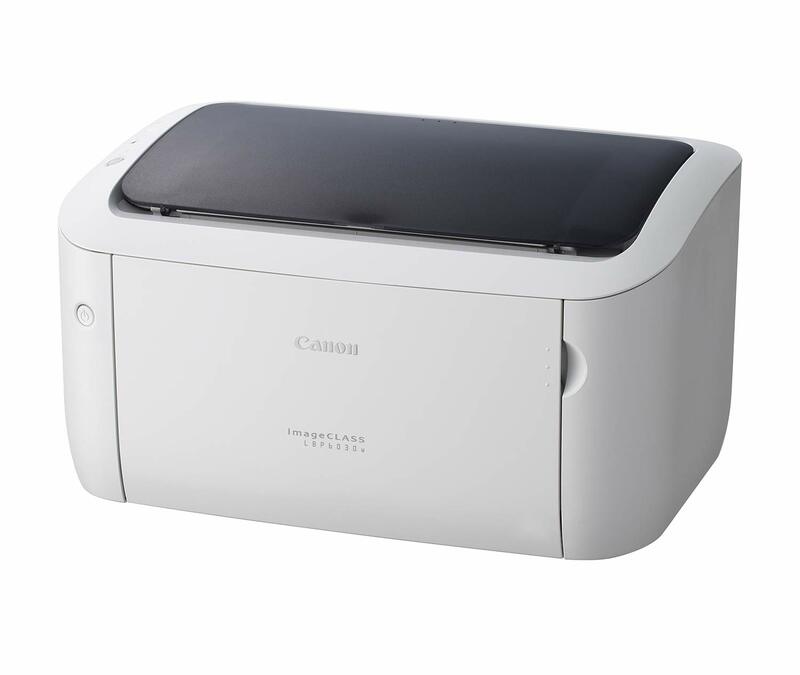 Minimal Maintenance The Canon all-in-one toner cartridge 325 integrates the photosensitive drum, cleaning unit and toner reservoir in one compact package, saving costs and making cartridge replacements easy. Low Energy Consumption The printer can be configured to enter sleep mode and auto shutdown after it remains idle for a specified length of time, consuming less energy. With a low Energy Star Typical Electricity Consumption value of 0.48 kWh/week, it is easy to be kind to the environment while saving cost. UFR II LT With Canon UFR II LT print language, the printer takes full advantage of the PC’s processing power. UFR II LT effectively removes the need for expensive memory upgrades on the printer. WPS Button The LBP6030w6030w comes with the WPS button located on the printer. 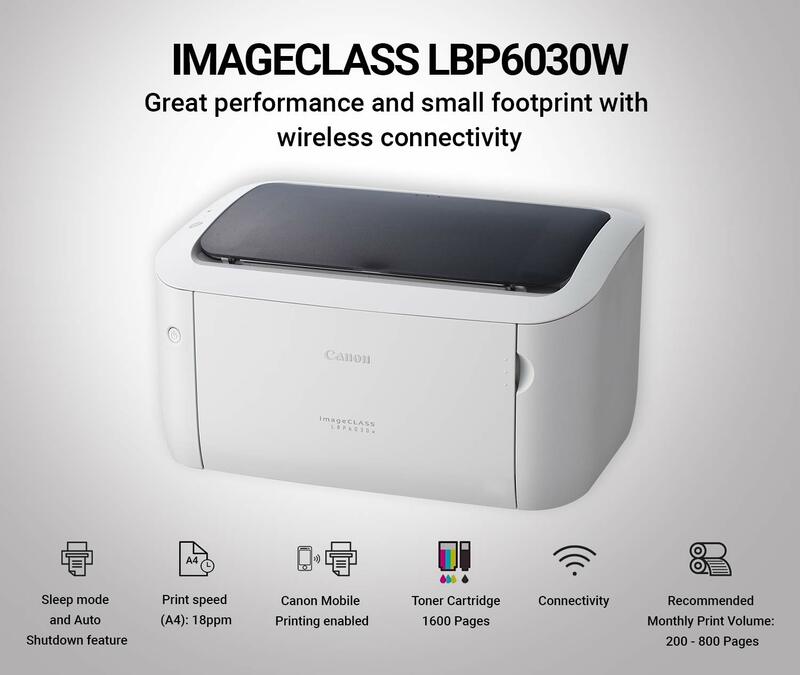 Set up a Wi-Fi connection for wireless printing, with just one-touch of the WPS button on the printer and router.